At Premier Family Dental, we want to take care of your entire family, so we also offer children’s dentistry. No matter what your age, we want all of our patients to have healthy, beautiful teeth. It is important to start good habits early on. Children’s dentistry focuses on the special teeth needs that children have: learning proper brushing and flossing techniques, cavity prevention, and keeping baby and permanent teeth healthy. Once your child’s teeth start coming in, it is important that they start visiting a dentist to ensure their teeth are developing correctly. We also recommend that you bring them along to one of your appointments so they can get used to the environment of a dentist’s office. 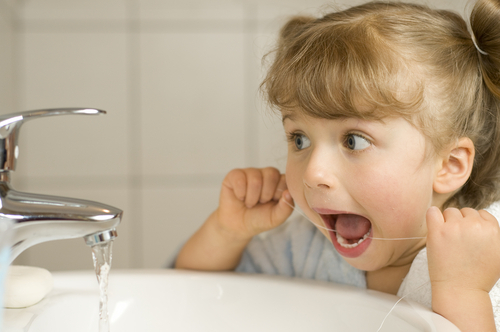 We offer fluoride treatments and dental sealants to help keep cavities from forming. Just because your child’s baby teeth will fall out doesn’t mean it’s not important to make sure they’re healthy. It is important for the development of your child’s smile and their self-confidence that their baby teeth remain healthy and stay in their mouth until pushed out by permanent teeth. Children’s dentistry plays an important role in the health of your child’s smile. We would be honored to help ensure that your entire family has healthy, beautiful smiles. Call us today to schedule your child’s next appointment.